The class provides Boolean common operation between arguments and tools (Boolean Intersection). Constructor with two shapes <S1> -argument <S2> -tool <anOperation> - the type of the operation Obsolete. 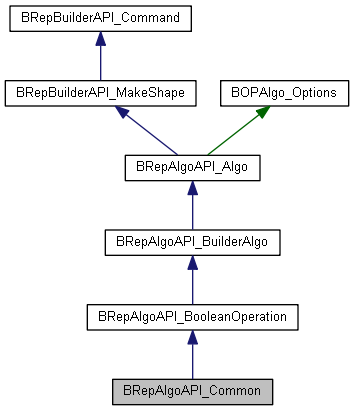 Constructor with two shapes <S1> -argument <S2> -tool <anOperation> - the type of the operation <PF> - PaveFiller object that is carried out Obsolete.